Learning & Behavior Strategies Interactive Book Helps Kids Understand the Power of Positive Choices! Interactive Book Helps Kids Understand the Power of Positive Choices! The book What Should Danny Do? contains nine stories in one. It is an interactive book that helps kids understand that their choices will shape their days, and ultimately their lives. 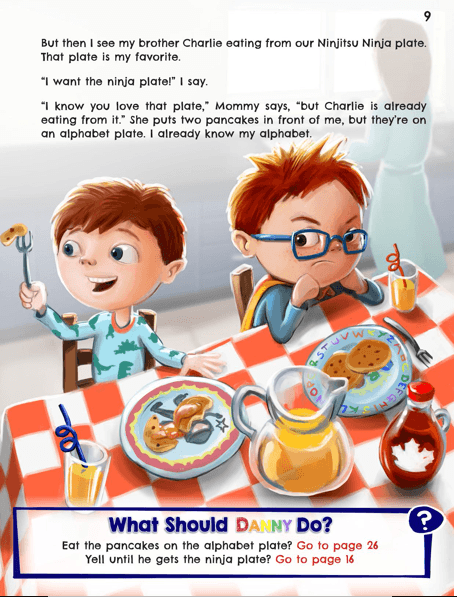 Written in a “Choose Your Own Story” style, the book follows Danny, a Superhero-in-Training, through his day as he faces choices that kids face daily. As your child/student navigates through the different story lines, they begin to realize that their choices for Danny shaped his day into what it became. And in turn, their choices for themselves can shape their days, and ultimately their lives, into what they will become. 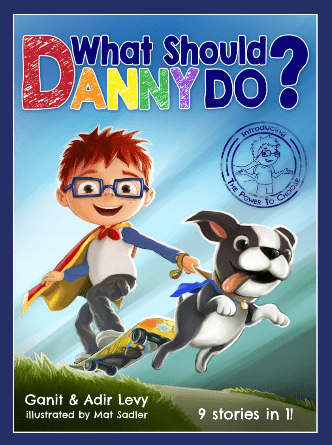 “What Should Danny Do” is a first of it’s kind book in that the readers choices affect the outcome of the story. Parents and teachers who have read this book like the social-emotional skills the book teaches by empowering kids to make positive choices while demonstrating the natural consequences to negative choices. Every choice made in the book is designed to teach children one of a variety of lessons including sharing, empathy, the value of hard work, patience, and several other social/emotional skills. The overall lesson is that our choices are what shape our days and our lives into what they will be. 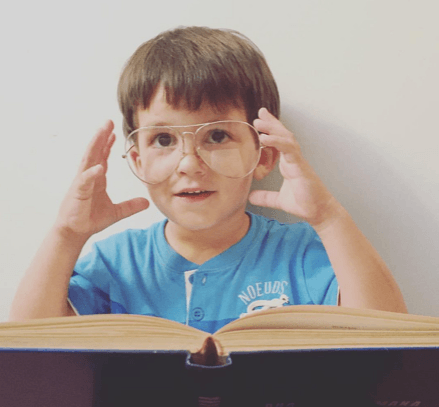 Is Using Children’s Books an Effective Method for Teaching Social-Emotional Skills? Research conducted by the University of Wisconsin and the University of Illinois indicates that utilizing children’s stories is an effective method for teaching social-emotional skills. Additional research, conducted by McCulliss and Chamberlain in 2013, suggests that using books therapeutically (bibliotherapy), in classrooms, helps foster healthy social and emotional growth in children, in that they are able to develop insight, a deeper understanding of self, solutions to personal problems, development of life skills, or enhanced self-image. I read this book with my four year old son who absolutely loved making choices for Danny and seeing the outcome. I was so proud to see that he understood the difference between the positive choices and detrimental ones. This book is innovative and impressive. It is easy to see the positive impact it has on the reader. It is a great tool for any parent, educator, counselor, or therapist.